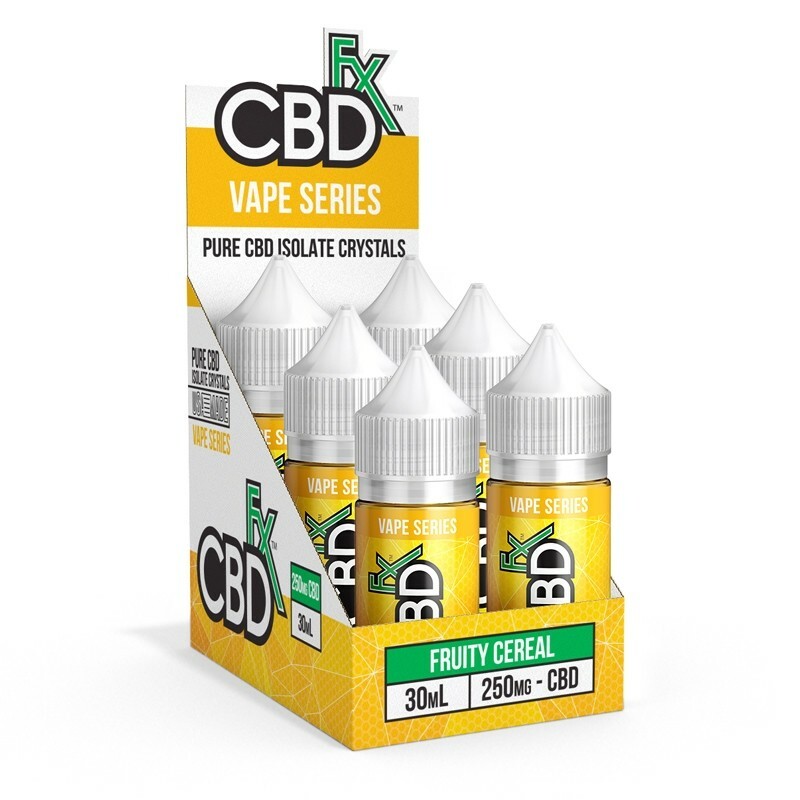 Leading brand CBDfx has created a fantastic vape series with a range of delicious flavours sure to satisfy your taste buds! 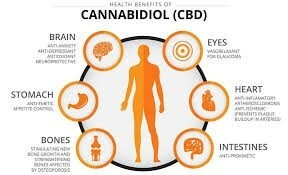 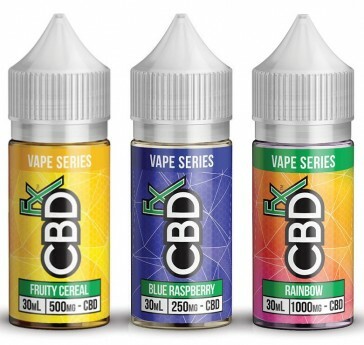 Including Fruity Cereal, Blue Raspberry and Rainbow, each contain 500MG of high quality CBD and are sweet and refreshing! Simply choose your favourite from the dropdown and order today. Each 30ml bottle is easy to use and we're pleased to say they're also 100% vegan, as well as being made from organic hemp. 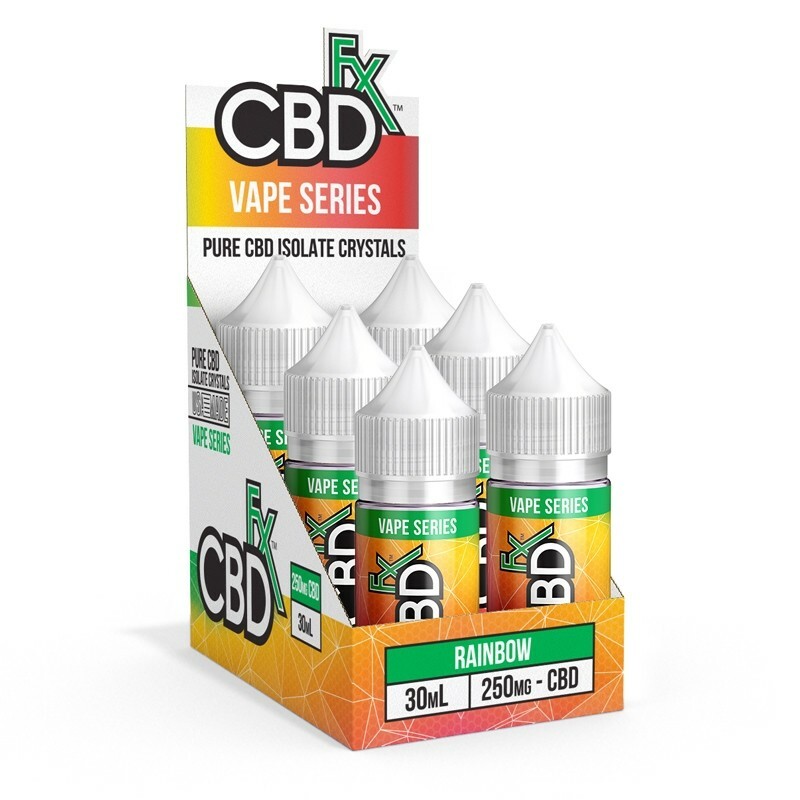 Here at a fantastic price, get yours and don't miss out! This US brand really knows what's what.